This weekend is the annual pop culture juggernaut San Diego Comic Con. 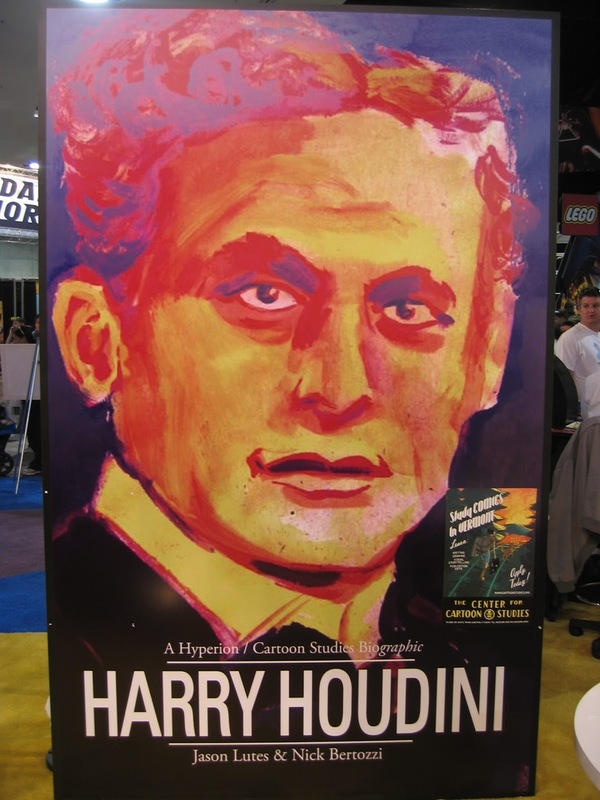 I used to attend the convention each year, and in 2005 I was thrilled to stumble on this large advertisement for what turned out to be the 2007 book Houdini The Handcuff King by Jason Lutes and Nick Bertozzi. I've often wondered what ever became of this poster. Be a nice collectible to have today. For those of you attending Comic Con, enjoy! And if you spot anything Houdini related, let us know in the comments below.